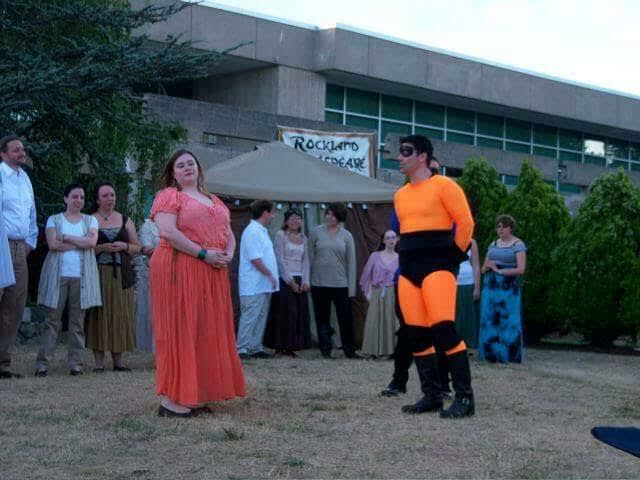 Rockland Shakespeare Company traditionally has performed every summer in the RCC courtyard. This year the company is taking their performance indoors to the college’s Cultural Arts Theater. RAMAPO – Continuing a tradition spanning two decades, Rockland Community College this summer is once again the place for free performances of William Shakespeare’s plays. All are invited to enjoy the Rockland Shakespeare Company’s 20th anniversary season, running from Friday, July 7, through Sunday, July 23. This year offers a mix of traditional Shakespeare with madcap comedy. The season features the classic tragedy Romeo and Juliet, the first play ever performed by the Rockland Shakespeare Company in 1998. “We immediately decided that we should produce ‘Romeo and Juliet’ in celebration of the 20th season,” said Christopher Plummer, RSC co-director. The third production is the irreverent “The Complete Works of William Shakespeare (abridged),” in which three actors attempt to perform all 37 of the Bard’s plays in 90 minutes, with hilarious results. In a change from the past, this year’s performances will take place inside RCC’s Cultural Arts Theater instead of outdoors. A new outdoor performance space, the John and Joan Maloney Rockland Globe Stage, is in development. In the meantime, the RSC will experiment with seating in the Theater this summer, placing some audience members directly on the stage. All performances begin at 7 p.m.
“We are thrilled to celebrate 20 incredible seasons,” Plummer said. 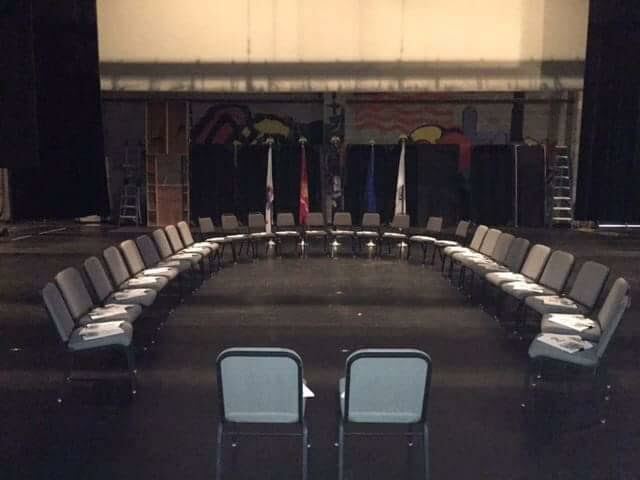 “We have grown in so many ways.” He added that a production of an adapted version of “Macbeth,” initially planned for this summer, will now be staged in late October to continue the anniversary celebration. Soap opera star Lawrence St. Victor of “Guiding Light” and “Bold and the Beautiful” began his journey as an actor with RSC, performing the title role in “Othello” early in the theater company’s existence.